The hitch ball mounts to the ball mount or the weight distributing head. 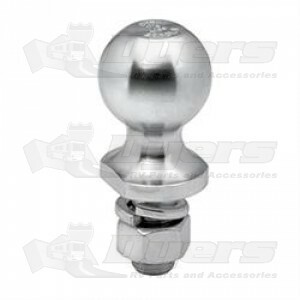 Hitch balls come in different sizes and styles. Keep in mind the hitch ball weight rating should always be equal to or larger than the hitch and ball mount being used. Lubricate ball and coupler to minimize wear and friction.